Sansa Stark hasn’t exactly proven herself to be a political dynamo in the great game of thrones, but could that be about to change? 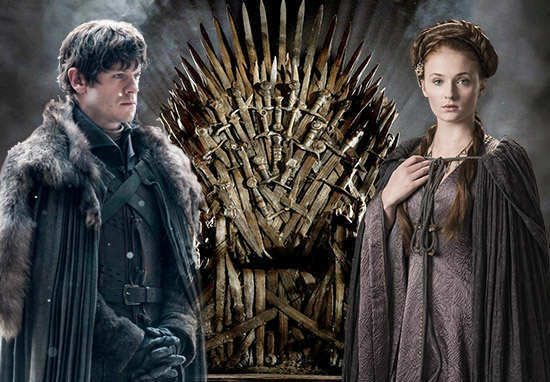 Over the course of the show’s six seasons to date we’ve seen Sansa pretty much moved around as a pawn in everyone else’s game, but this Reddit fan theory thinks things are set to change dramatically for the eldest daughter of Winterfell. A user called ajxnjd reckons Sansa is more shrewd than she’s been given credit for, and could be set to snare Ramsay Bolton, and Petyr Baelish, in a carefully spun web of manipulation. This is about Sansa’s letter to LF and why she sent it. I think I cracked this up. Remember when Sansa insisted in sending Brienne and not sending a raven to ask her uncle for help? Her argument was that she didn’t want Ramsey to intercept the Raven and knows about this. But now it seems like she’s gonna send a raven to ask little finger for help. But why? Shouldn’t she be afraid that Ramsay will find out? Well here’s my theory. Sansa wants Ramsay to find out about little finger army. Ramsay, being the mad dog that he is, will send a good part of his forces to deal with LF and knights of the vale. Now, Sansa and Co will fight a reduced Ramsay army due to this and they win easily. TL_DR: Sansa will screw LF over to win Winterfell. Ramsay is certainly warped enough to take the bait in an opportunity to reach his annual quota of flaying, but would Little Finger comply? Well, now the show is off book, and with George R.R. Martin having not written any of this season’s episodes, your guess is as good as mine on this one.